Moderator Application Template Pre-requisites You must be already active and well-known member within our community You must be calm and know how to handle stressful situations as a staff member you will get stressed. You must understand the chain of command. You must understand that the powers you are granted are for you to help people and the community. You agree that your rank can be taken away at any time if you are reported abusing. You need to understand that you may not receive the rank. As a staff member, you must understand that you are required to help/run events. You must have an understanding of the rules and RP. You must have at least 60 active hours on the server. You must show appropriate levels of maturity in all aspects within the community. General Steam ID: STEAM_0:0:132421636 Steam Community Profile Page Link: https://steamcommunity.com/id/nightmarecsgo Current In-Game Alias (E.g.Captain Deston): Specialist Bill Nye The Nazi Spy Most Commonly Known Alias (E.g. Deston): Bill Are you staff on any other servers within this community? No Have you been staff on any other communities (If so, please list your position, community and at least one reference and their SteamID)? Void How much game time on Colossal Gaming MilitaryRP do you have? 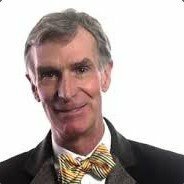 (Provide proof): 181 hours https://cache.gametracker.com/player/Bill Nye The Nazi Spy/139.99.162.1:27015/ What is your current rank in-game (e.g. : User, Respected, Gold, etc.)? Guest (sorry had wrong one) Are you familiar with the administration mod known as ‘ULX’? Believe it’s a admin mod or something On a scale of 1 to 10, how well are you known throughout the community by both players and staff members? well I would say that im well known within Marines and in the previous map I was apart of Scout. But other than that, I couldn’t really say that people would know me as I only really talk within my regiment so within the regiment, I would say 8-9 but outside 3-5 Are you currently in Colossal Gaming Steam group? Yes Do you follow and enforce the server rules to the best of your ability? Yes Do you accept that you cannot treat your friends any differently to ordinary players? Yes Do you have a microphone that you can use to assist you while dealing with players? Yes Do you understand that Colossal server(s) are to be monitored sensibly and your duties are always to be taken seriously: Yes? Have you had any bans to date? If so, please explain to us why we should still accept you: Um I have 2 warnings – One for RDM which I received on my first day on the server – 14/11 And the second one is FailRP x3 which I was going to take up with admins as I thought it was a bit BS – 22/11 But NO bans to date Teamspeak Agreement How often do you use the Teamspeak server? I don’t have Teamspeak, but I can get it as I use discord heavily If you become successful in your application, you will be given a Teamspeak Server Group that is appropriate to the position you were successful in. Please understand that you may not be given access to this Server Group instantly. By typing YES, you agree to never abuse your Teamspeak powers and acknowledge that you understand the Teamspeak Rules (Link soon): Yes Questions: Why should the staff team accept you as a Moderator on Colossal Gaming Military Roleplay? Well I believe that id be able to bring fresh and new ideas to the team, I would also like to be involved in a server more heavily rather then just a player, been able to help other people who are having troubles. Discuss your ability to work in a team and give examples that demonstrate this: Well I’m a captain (ikr) of a sports team that was 2nd best at national level for under water hockey. I also work at a fish and chip shop and deal with many different people and things that go down and people come to me Discuss any past experiences that you believe have impacted the server and player(s) positively: Well I would like to say that I bring a positive feeling to the marines and the players with the regiment. I also found a bug within the game which was affecting the reloading of certain weapons and giving people a very fast shooting weapon. (though I don’t think many people knew about it I think that it impacted the server positively) Describe your personality and speak a little about yourself: Well I would like to say that I’m funny and that people around enjoy themselves while they are in contact with me. And I would also like to think that I am easily approachable, and this is a good thing if I were to become an admin Little bit about myself…. Live in New Zealand, As I previously said I am captain for a Under Water Hockey team which placed second at a national level. I work at a fish and chip shop (if need more info throw me a message as fine to talk about it just don’t know how much info you want) Scenarios Scenario 1: A Player is running around on the server and rdming constantly. Despite previous warnings from other staff, this player is still on his murder spree. All the other staff has logged off and you are the only one left. The player count is around 35. You've encountered this player before and have found him to be quite the minge. Question 1: As a Moderator, how do you react? Well at first, I would pull him into an admin sit an remind him that if he is going to continue with this, I will ban him, as he has been seen by many different admins about the same thing. And if it continues then I would ban him though for a time to which I’m not sure as there might be certain things like a progression system for repeat offenders. But other than that, would try and contact an admin who had just got off and consult to him about the time of the ban. But I would think the ban time for an offence for this would be about a 7-day ban. To which I would ban him Scenario 2: A well-known Player has Mass-RDMed a small squad of Players on his own team. This Player has been a very great member in the past, however recently you've observed that they are slipping up a lot. Question 2: As a Moderator, how do you react? I would pull them into an admin sit and talk to them about why they Mass-RDMed a group of his fellow squad mates. I would then tell him that he is getting banned because even if he is a respected player thought out the server then shouldn’t be treated differently; it then would be a 7-day ban or if there is a progression system then for that allotted time.